As a glittering example of modernization, the city of Dubai in the United Arab Emirates attracts visitors from around the world. Despite being a Muslim city, its drinking scene is truly world-class, offering incredible diversity and style in drinking establishments. Some of these drinking venues are unique to the city, spurring a nightlife that offers something for everyone. Under Sharia Law, Muslims are forbidden from drinking alcohol. Dubai is under Sharia Law, but because the city brings in so many tourists and expatriates from other parts of the world, drinking venues have managed to thrive despite the restrictions. First, non-Muslim residents of Dubai and visitors are required to obtain an alcohol license before they are allowed to purchase liquor from a vendor. Many residents and tourists circumvent this requirement by purchasing their spirits from a licensed establishment, typically bars and restaurants in the city. These licensed venues have sprung up in some of the most unlikely places, perched atop billion-dollar skyscrapers and found in the nooks and crannies of inner-city neighborhoods. The sheer diversity of watering holes in Dubai is a mind-blowing experience for the city’s residents and tourists alike. Some of the most exclusive hotels and resorts offer bars at the top of their skyscraper buildings, providing visitors with incredible views of the city and its surrounding region. Many of these rooftop bars are open-air, allowing one to experience the atmosphere of the city first-hand. These drinking establishments are staffed with highly-qualified mixologists. The city’s upscale visitors demand impeccable bar service, and the bars deliver. Brunch is a hot commodity in Dubai. Tastes from around the world are complemented by delicious cocktails, and many venues specialize in providing mingling, food, and culture in a brunch setting that only Dubai’s resorts and exclusive restaurants can pull off perfectly. More unusual bars and taverns can be found closer to ground level. Dubai’s beer culture has flourished, giving rise to microbreweries and taverns that specialize in craft beers on tap. Other unique bars offer games, live music, and even mechanical bulls in Western-themed watering holes across this glittering Middle Eastern city. Some of the more hidden bars have adopted a “Prohibition”-style theme, sometimes with secret passwords for entry and cocktails that hearken back to the roaring 1920s. These bars rely on word-of-mouth, and some even have secret passages that lend a mysterious nature to the experience. 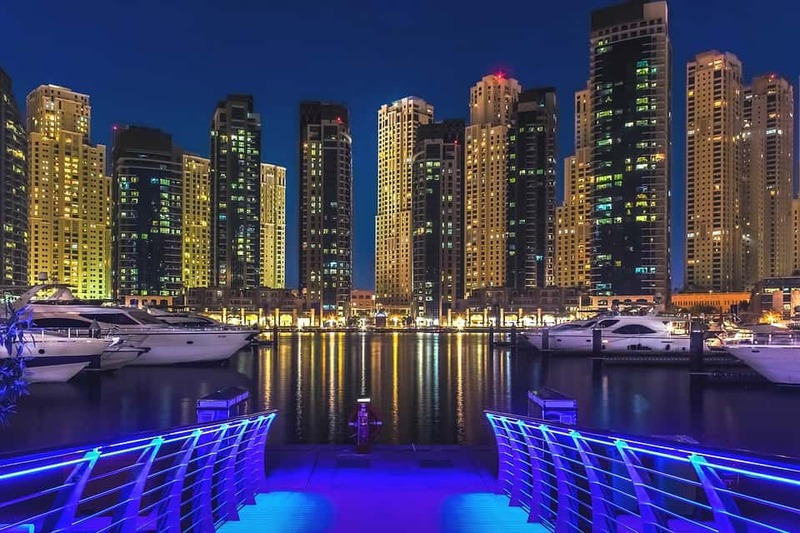 It is clear that the drinking culture in Dubai caters to every whim and every desire, providing the city’s residents and tourists with a seemingly endless supply of drinking experiences. This glittering urban jewel should be on the destination list of any world traveler; the exclusive nature of many of the city’s drinking establishments and their unique take on cocktails can provide all the inspiration serious drinkers need to have an award-winning experience. If you need an award-winning private bartending experience in the San Francisco Bay Area, click here.